Recently, our blogger extraordinaire Stephenie wrote an entry about interesting historical sites in San Diego. I realized after reading it my kids might actually get a kick out of seeing them (and learn something too!) 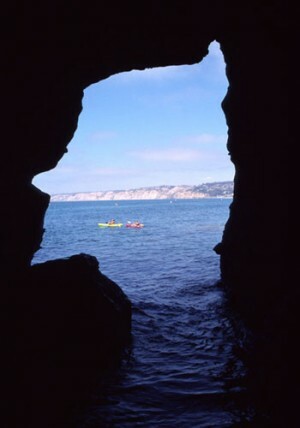 I decided our first stop would be the Sunny Jim Cave, located in La Jolla. If you haven’t been or heard about it; it’s worth the 145 steps down and up. 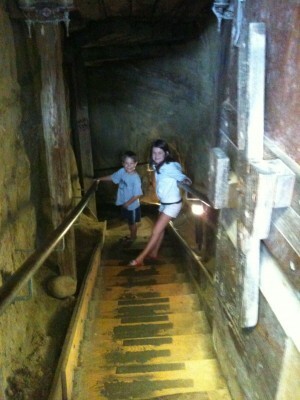 Mia and Brett were really excited to hear there is a “secret” cave you enter through a store. It does sound really fun, especially when I told them it was built over 100 years ago. 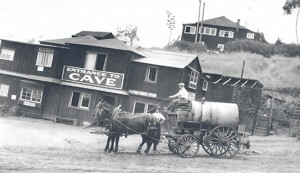 The tunnel down to the cave was hand-dug back in 1902 and was used to smuggle contraband during the Prohibition. 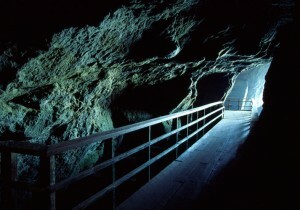 It is also one of the only known caves accessible from land. Once you enter The Cave Store, you can check out the sea shells and other San Diego mementos for sale. The store also has snorkeling gear available for rent if you are interested in seeing the cave from the water. We chose to go by land. Once you pay your entry fee ($4 for adults, $3 for children), The Cave Store employees will tell you to watch your step because the steps get pretty slippery. They are correct; the steps can be narrow in spots and can get quite slippery the farther you descend. Once you reach the bottom, you are inside the mouth of the cave. The view is really beautiful and there is a nice landing for you to spend some time taking pictures and to enjoy the view. This entry was posted in Attractions, Family Vacations, Insider Tips, Outdoor Adventures and tagged fun, historical, kids, la jolla, outdoors, things to do by Suzzanne. Bookmark the permalink.